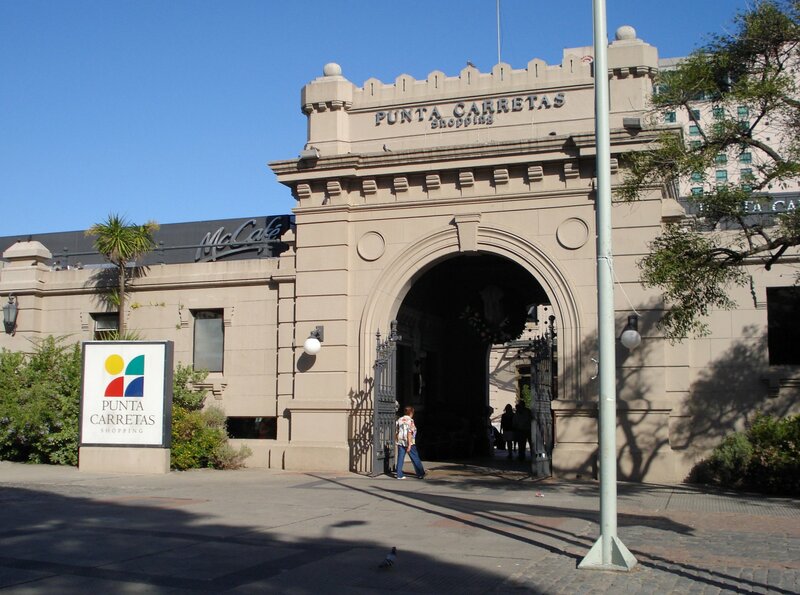 From penitentiary to shopping mall, Punta Carretas Shopping is a popular meeting place and historic landmark. Uruguay still leads the pack for a large number of overseas property buyers, with good reason. In many ways the Montevideo neighborhood of Punta Carretas exemplifies what brings people to Uruguay and why they stay. Since 2004, Uruguay’s property market has been one of the world’s best performers. Property values—and Uruguay’s economy as a whole—continued to grow during the Great Recession, and, in 2011, prices in Montevideo rose an amazing 22%. But then Argentina—Uruguay’s primary source of buyers and rental market customers—put strict currency controls in place, making it very difficult to get U.S. dollars out of the country. To make matters worse, Argentina’s central bank refused to redeem the Argentine pesos that its citizens had spent in Uruguay. Despite dire predictions, the property market in Uruguay refused to die and tacked on another 9% the following year. Properties aside, Uruguay remains one of the world’s premier offshore havens, with a solid banking system, strong currency, and a business-friendly environment. It’s drawn people from the region for years. Since about 2009, Uruguay has been a virtual magnet for North Americans wanting to establish a presence outside their home country. Finally, the lifestyle in Uruguay is second to none, with its old-world, European ambiance mixed with a tango-culture romance and some of the world’s friendliest and kindest people. Punta Carretas lies on a peninsula that juts southward into the sea. The signature Punta Brava lighthouse marks the end of the point and the beginning of a wide, mile-long seafront park (my golden retriever’s favorite feature). Punta Carretas also hosts the nation’s premier golf course, the Club de Golf del Uruguay ( http://www.cgu.com.uy/lang__en/1344/Inicio ). Punta Carretas Shopping is located here, which contains a large, modern grocery store in addition to the mall’s other cafes and upscale (expensive) shops. The mall was originally built in 1915 as a prison and remained so until 1986. It reopened its doors as a high-end mall and historic landmark in 1994. Banks are nearby too, where you can safely keep accounts in dollars, euros, or pesos, as well as purchase high-interest-bearing CDs. The area is 100% walkable, and, in fact, I sold my car when moving here from Punta del Este. Public transportation is good in all directions from Punta Carretas. So you can hop on a bus to visit anywhere you need to go in the city, including the interprovincial terminal that takes you to Carrasco International Airport, Punta del Este, or Colonia. Best of all, the shady, tree-lined streets of Punta Carretas hide some of the city’s best restaurants, from casual cafes to elegant fine dining. You can walk along the waterfront to enjoy fresh seafood at the water’s edge or stroll the back streets to discover your own favorite getaway. Hidden on a tree-lined street, Da Pentella ended up being my favorite Montevideo restaurant. Ten years ago, when I had an apartment in Montevideo’s Centro, I wrote frequently about the amazing bargains in Centro and nearby Ciudad Vieja. At that time, places like Punta Carretas seemed far too expensive by comparison. Since that time, properties in the nicer areas of Centro and Ciudad Vieja have risen between 300% and 400%. The more upscale neighborhoods of Punta Carretas, Buceo, Malvin, and Pocitos have gone up at a much slower pace. Today, you can live here without paying anywhere near the premium that buyers paid just a few years ago. As you can see below, Punta Carretas is in the middle of the pack, pricewise. It’s not a budget destination, but I feel it’s a good value for the money. With super views of Punta Carretas’ golf course and the sea, this second-floor apartment has 78 m2 (840 square feet) of living area, with two bedrooms, two baths, a balcony, and parquet floors. Built in 1950, it also comes with low monthly HOA fees. The asking price is US$170,000. Also in Punta Carretas, we found another second-floor, 78 m2 (840 square feet) apartment for sale, built in 1946, in excellent condition, with two new bathrooms, and a nicely finished kitchen. It has two bedrooms which, along with the living room, have access to an enclosed (and narrow) front balcony. It comes with a sea view some 200 yards away, and the asking price is US$210,000. A practically new ground-floor apartment has 86 m2 (925 square feet) and is located on Calle Montero where it intersects the seafront boulevard. It has tasteful new fixtures and finishings, including granite counters and engineered wood floors. There are two bedrooms, two baths, and an enclosed terrace fronting the street. The asking price is US$220,000. If you’d prefer a house, here’s one that’s close to both the water and the Punta Carretas mall. It’s a three-story house, built in 1940, with 179 m2 (1,925 square feet) living area, including four bedrooms, two baths, a rooftop barbeque, and garage. The price is US$320,000. My primary real estate contact in Montevideo is Bettina Stratta of Reynolds Properties. You can reach her at Bettina@reynoldspropiedades.com. Bettina can help you with sales, rentals, and rental management. I’ll be the first to admit that Montevideo is not for everyone. The real estate is not cheap, as you can see. Also, the city can look worn in some areas; only a few areas will exhibit the gleaming newness of places like, say, Medellín, Colombia. But Montevideo conveys an old-world, comfortable, and neighborly feeling that you won’t really understand until you’ve been there awhile. The predominantly Italian culture, the laidback attitude, and the friendly people are unlike anything I’ve experience in Latin America. To me, Punta Carretas shows off the best blend of Montevideo’s diverse lifestyles. If you want to establish a presence in one of the world’s best offshore havens—and enjoy one of its best lifestyles while doing so—then Punta Carretas may well be for you. JohnGreat question. In places like Brazil or Colombia, you register the money as it comes into the country, which gains you certain exemptions and guarantees when that same money leaves the country.This is not the case in Ecuador. Any dollars leaving the country (more than US$1,000) will be taxed at a rate of 5%. But what many people do when selling a property is to take payment outside of Ecuador. If your buyer deposits the funds in your U.S. account, for example, you’ll avoid the tax.And this is not farfetched, since a large part of the market for higher-end homes in Ecuador consists of foreign buyers anyway…at least at popular expat locations. And many wealthy Ecuadorians also have accounts in the United States.Finally, here’s a quick rundown of Ecuador’s seniors’ discounts. The type of visa you have doesn’t matter…but you must be a resident of some kind and older than 65. Best of all, you never have to stand in line; seniors always go to the front. The following email was one of perhaps a dozen I got concerning banking in response to a previous article on Uruguay. Very good articles, thank you. I have several questions relating to Uruguay. 1) Will Uruguayan banks allow U.S. citizens to open accounts post-FATCA? 2) In your opinion would Uruguayan banks be a good place to hold cash in the event of a U.S. financial/banking crisis? 3) If one wanted more information on opening a bank account in Uruguay do you have any resources/recommendations? Thanks Lee, keep up the good work. Banks operating in Uruguay have different policies concerning U.S. citizens. HSBC, for example, will not take U.S. clients. Banco de la República (BROU, the government’s bank) does take U.S. clients and is FATCA compliant. They have a special unit set up to help U.S. citizens comply with this new law. The key to minimizing the impact of a U.S. financial crisis (or any other country’s) is diversity. That is, not having all your eggs in one basket, including Uruguay. But personally, I trust Uruguay’s banking system. With BROU, the service is good, the bank is secure, and you can hold multiple currencies, which gives you even more diversity. Plus, the BROU ATM card works around the world, and they offer high-interest CDs. Our primary legal contact in Uruguay is Juan Federico Fischer, managing partner of Fischer and Schickendantz. He and his staff met with officials of BROU last month to be sure that everyone has a clear understanding of what’s needed for U.S. clients. For banking assistance in Uruguay, you can write to Juan Fischer here.